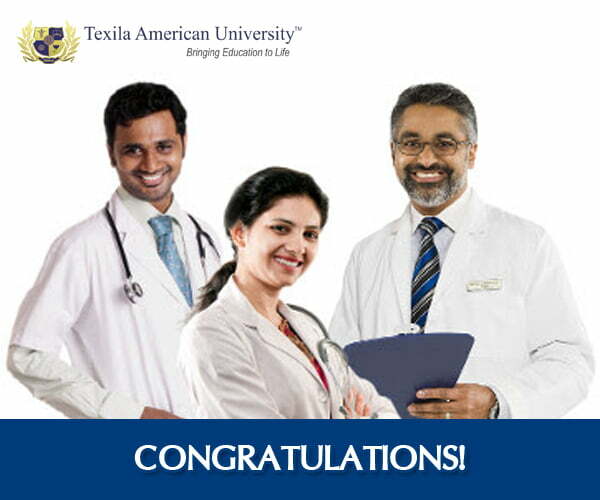 Press Release (ePRNews.com) - TAMIL NADU, India - Mar 01, 2018 - Eleven Doctors (Post Graduate Students) of Texila American University (in academic partnership with UCN) have cleared their Royal College (UK) Part 1 Examinations in various specialization and one among these eleven doctors has cleared his Part 2 Examination too. Royal College (UK) Examination is not only a prestigious but a highly competitive examination. Doctors preparing for this exam need expert guidance and meticulous preparation. The exams are designed to test the skills, knowledge, and behavior of doctors in training. The examination is a knowledge-based assessment for core medical training and it has three parts. Part 1 is to test knowledge and understanding of common and important ailments. Success in the Part 1 Examination shows that the Doctor (PG student) has not only remembered the knowledge acquired during undergraduate training, but that his/her knowledge of medicine has expanded and kept pace with developments that have occurred since graduation, and continues to provide an appropriate basis for clinical decision making. Part 1 is a valuable milestone during training, and helps to prepare trainees for the more challenging Part 2 Written and Clinical Examinations. Upon completion of the 3 parts, doctors can practice as a Consultant in 120+ countries. Texila American University Ltd, in academic partnership with the University of Central Nicaragua (UCN), offers a comprehensive three-year training program that prepares Doctors (PG Students) to appear for the Royal College (UK) examinations in the specialty of their choice. The doctors are given structured hands-on training for Royal College (UK) exams with an attractive stipend during the Fellowship training period.